Luke Cage Reading Order | Where to Start With Power Man Comics? You are here: Home / Featured / Where to Start With Luke Cage Comics? Where to Start With Luke Cage Comics? While written in 2013, this is simply a modern reimagining of Luke Cage’s origin story. One shot available in Marvel Unlimited. 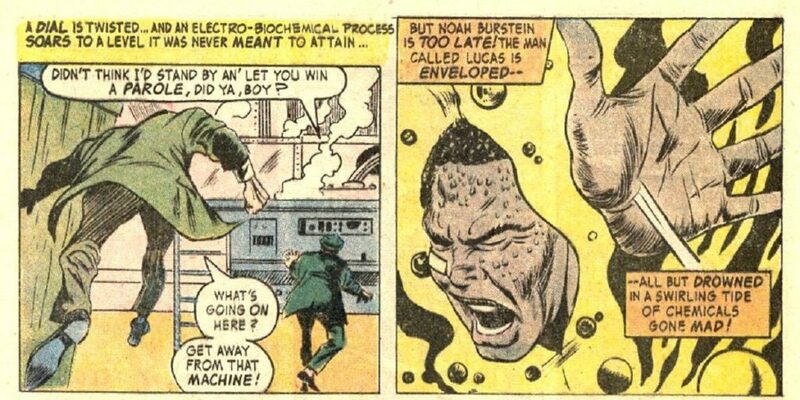 First meeting between Luke Cage and Spider-Man, as Luke hunts for the alleged murderer of Norman Osborn! Not particularly important, but this can be slotted in after Hero for Hire #12 in terms of Marvel release dates. This is pretty commonly overlooked in the history of Luke Cage, but he was actually a recurring guest-hero and eventual member of the 1970’s Defenders. Oddly, of all the Netflix Defenders, Luke Cage is the only one who was actually a Defender in the Marvel Comics sense. Note that Marvel Unlimited’s current Luke Cage / Power Man offerings are woefully short (as of 3.26.16). Your MU subscription will get you Luke Cage: Hero for Hire #1, and that’s it. If nothing else, try to find a copy of Hero for Hire #9, as Luke Cage confronts Doctor Doom about money he’s owed. The Fantastic Four take on Power Man. Luke and Danny, Danny and Luke. 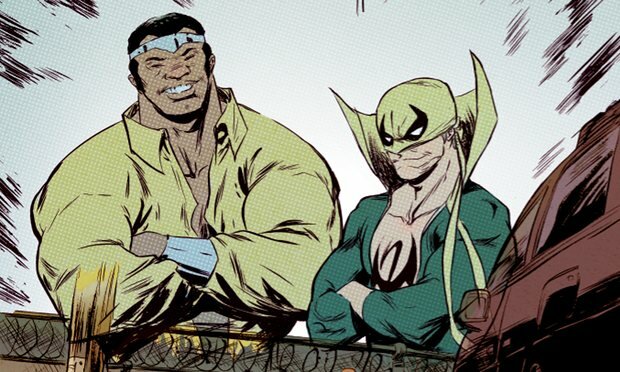 Power Man & Iron Fist will give you one of the best partnerships in comics, although it’s again worth noting this series is nowhere to be found in Marvel Unlimited (March 2016). In regards to Daredevil #178, as always, it’s my duty to tell the world that Frank Miller’s time on Daredevil (first as artist, then as writer and artist) is one of the most highly recommended runs in all of Marvel Comics. This particular issue has the big “Daredevil… Meets Power Man & Iron Fist” right there on the cover, so it’s the most applicable to our Luke Cage reading experience. Luke and Danny will maintain a street-level bond with Daredevil throughout their comic history, and this is one of their earliest encounters. Sadly uncollected, and seemingly unavailable. Luke Cage’s early 90’s solo run! A Deadpool, Luke Cage, and Doctor Druid team-up comic. If this was announced as a new ongoing today, I’d have it on my pull list yesterday. I don’t know how or why a John Ostrander (of Suicide Squad fame) Heroes for Hire is darn near impossible to find, but it is! If you track this run down, let me hear about it. By my count, this is just about the last time we’ll see Luke in his classic Yellow open-chest jacket and tiara in modern Marvel comics. It’s also my dutiful reminder that Christopher Priest’s Black Panther run is great. Six issue Marvel MAX limited series. Even though Luke Cage isn’t in every issue of Alias (it is a Jessica Jones series after all), you really need to read the whole series as part of a Luke Cage reading order. This is where Luke and Jessica’s messy, honest relationship begins, and the fact that Alias is one of the best 100 Marvel Comics of the millennium is just icing on the cake. Another highly recommended read that works best (as you’d expect) in the Daredevil reading order. Nonetheless, there are a handful of cool “Luke tells Daredevil what’s up” scenes, such as in Daredevil #38 (the start of the “Trial of the Century” story arc). It’s a strong series overall, but this issue helps put Luke, Danny and Matt’s interactions into context. 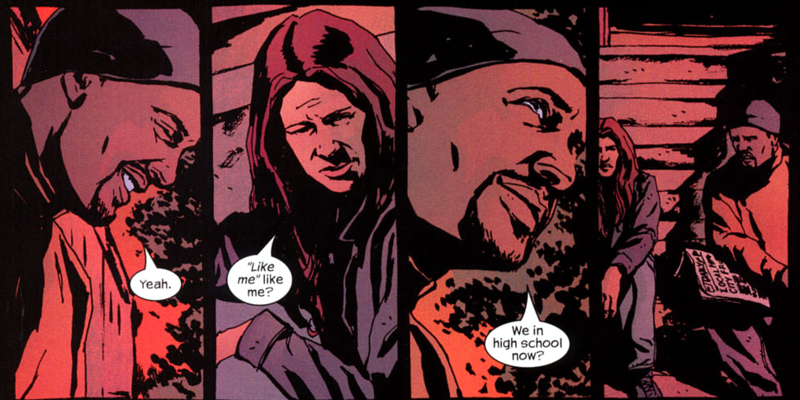 Luke and Jessica’s relationship is brought in to the Marvel Universe proper, after its beginnings in the Marvel Max Alias. The Pulse is more of a Jessica Jones story at its core, but naturally Luke is an increasingly important part of her life. Note: Starting with Black Panther #10, Luke Cage takes on a role in the ongoing by Reginald Hudlin. Note: From this point forward, you’re basically just reading New Avengers, which is Luke’s core series throughout the remainder of the 2000’s. I break down a Marvel Unlimited reading order for you below so you can work in Annuals and universe-wide events. Don’t skip the annual! Important life events for Luke Cage and Jessica Jones. Issue #22 is a Jessica Jones and Luke Cage Civil War Tie-In. Takes you through Dark Reign and Siege. Various Jessica Jones and Luke Cage throughout. Marvel’s Noir series is an out-of-continuity reimagining of some of the coolest Marvel heroes in a 1920’s noir. Luke Cage’s actually works particularly well, and is highly recommended reading for fans of the character. 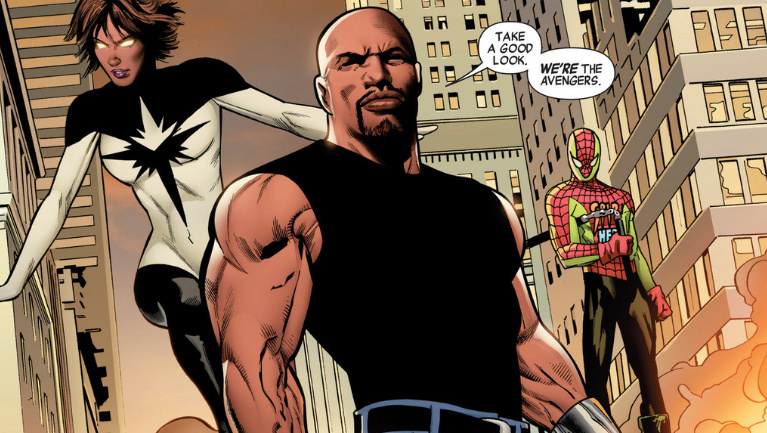 Following the events of Siege, Luke Cage takes on an all-new role with the Thunderbolts. In addition to his new role with the T-Bolts, Luke Cage also heads up a team of New Avengers. Meanwhile I can barely put on socks and carry a conversation at the same time. This isn’t a Luke Cage book per say, but Luke’s tangentially involved, and at only 5 issues it’s recommended. To be fair, we made it five issues before the Original Sin crossovers. I’d note that the second volume of Cap and the Mighty Avengers also features the Captain Britain and the Mighty Defenders Secret Wars tie-in, which includes a great alternate reality version of Luke Cage. What do you think? Need more Luke Cage in your life? Have a favorite you want to see added? Do what feels right to you in the comments. hey im 14 too and im about to start my comic journey, what do you recommend i start off with?